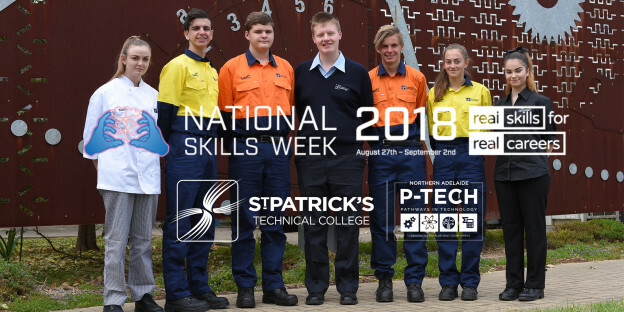 Every year St Patrick’s Technical College celebrates National Skills Week and 2018 is set to be a fantastic event. Hosted at the Playford City Council’s Civic Centre on Playford Boulevard, the event will be a celebration of trades, apprenticeships, traineeships and business in the north. This year the very special guest speakers are: Honourable David Pisoni, MP, Minister for Industry and Skills and Barossa Fine Food’s Business Development Manager Alex Knoll. The College will also be celebrating the naming of 5 staff, students and programs as finalists in the 2018 SA Training Awards, to be presented at a gala dinner on September 7. For more information and to find out how you can purchase tickets to the event go to this page. This entry was posted in Industry Office, Latest News on 27/07/2018 by St Patrick's Technical College.